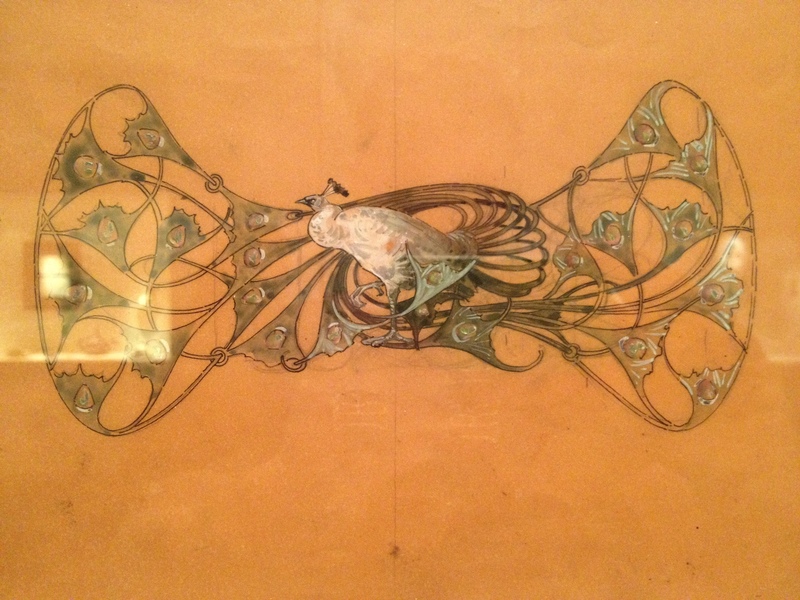 Art Nouveau flourished from the late 1890s to World War I. While it was best known for works on paper, the style was not so limited. 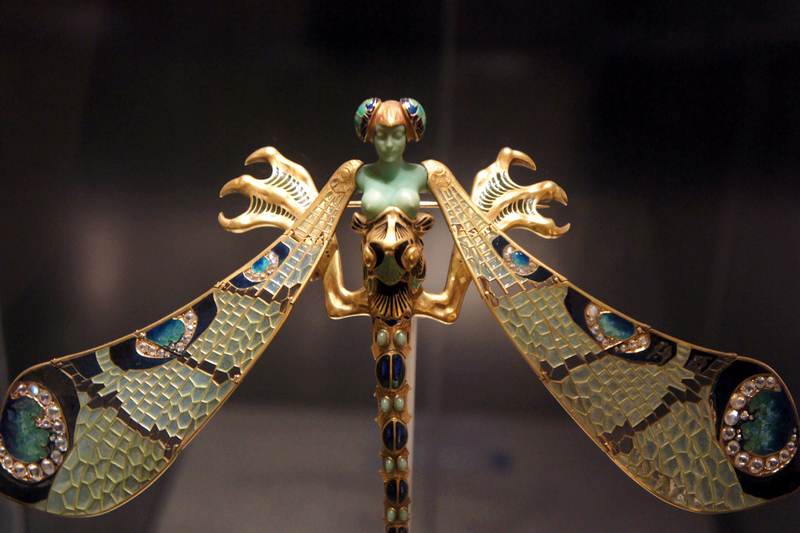 Elegant, sinuous, sensuous, and slightly scandalous, Art Nouveau took hold in Europe but always seems, to this writer, slightly Oriental in concept. 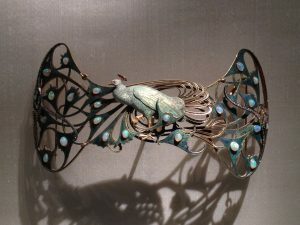 While one of my favorite artists, Rene Lalique (1860-1945), did not set or design type, he was influential in glass design and jewelry design. 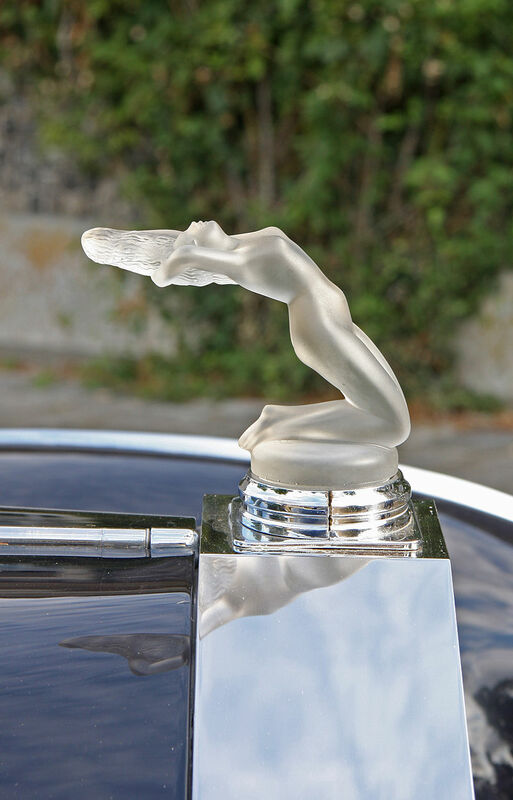 One should also mention the fabulous hood ornaments and perfume bottles designed by him. I’m going to stretch the definition of graphic design and show a couple of Lalique’s drawings that were made into fabulous pieces of jewelry. To enter a room filled with his creations, such as Lisbon’s the Museu Calouste Gulbenkian is to be transported to another time and a different aesthetic. It is one of the most memorable museum rooms I’ve encountered. 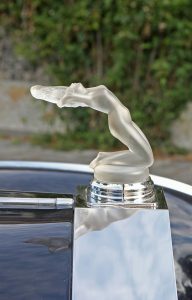 In this case, the fabulous glass hood ornament is on a 1956 Rolls Royce Silver Wraith. It was Georges Fouquet who brought Mucha’s designs to life. Fouquet had studied with his father, Alphonse, and upon his father’s retirement took over the jewelry design. Sometime between 1895 and 1900, Fouquet began his work with Mucha. In 1901, a gorgeous showroom, designed by Mucha opened. 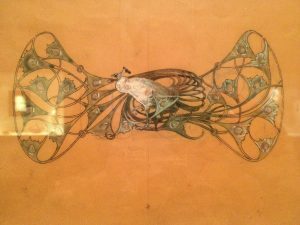 I suggest looking at the blog pictures https://babylonbaroque.wordpress.com/2010/12/01/fouquet-mucha-an-inspired-collaboration/ and, in particular, the front of the store and its amazing Art Nouveau interior. Fouquet & Mucha, an inspired collaboration. Images from Museu Calouste Gulbenkian.